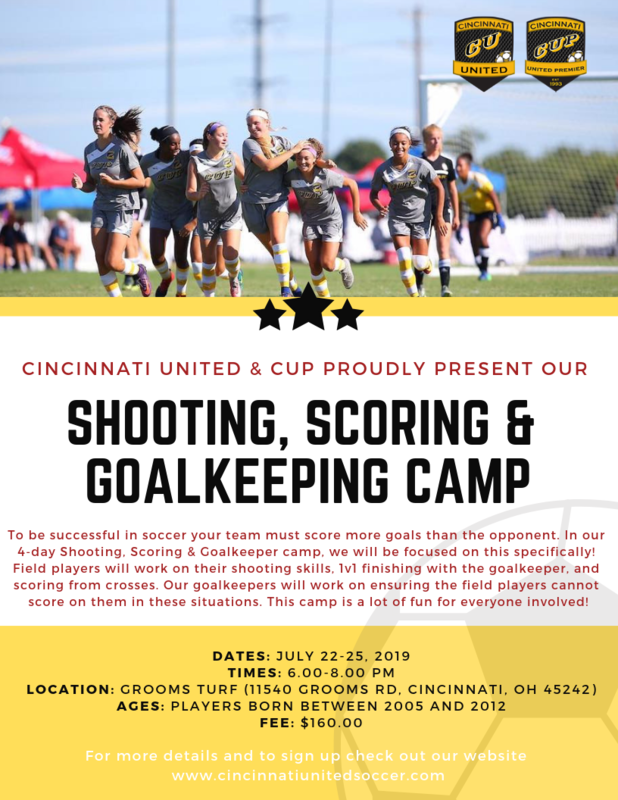 Cincinnati United and CUP are proud to present our 2019 Summer Camp series! 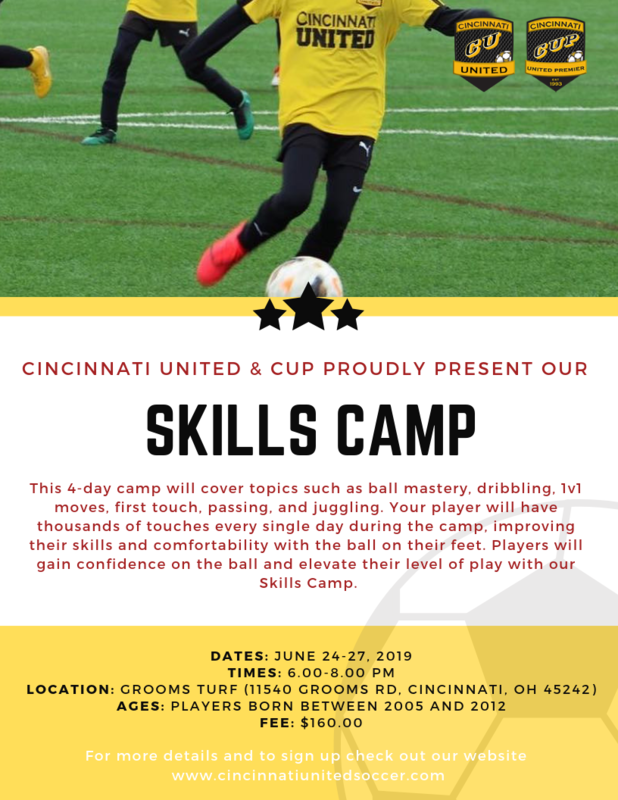 These summer camps are a great opportunity for your player to improve their skills while having a fun and informative experience! 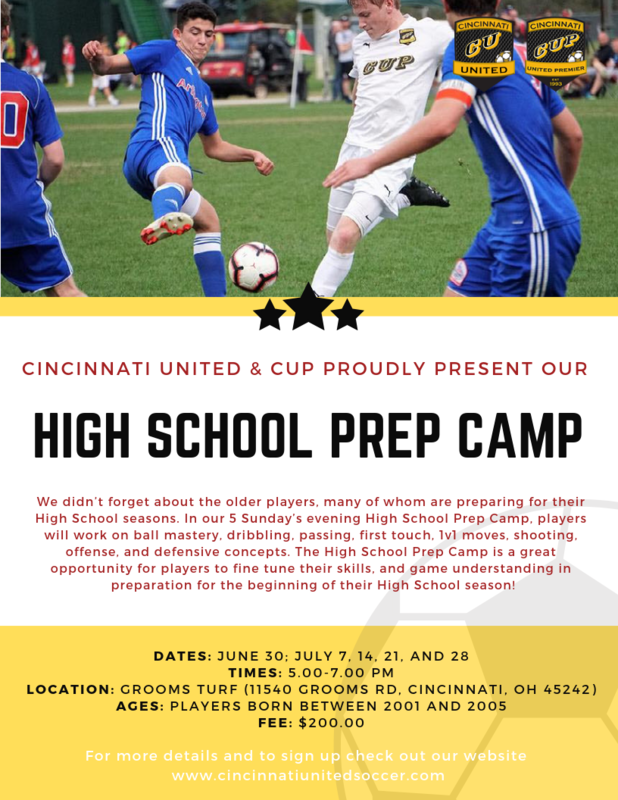 Our Summer Camps are open to all players regardless of club affiliation, experience, or ability level; we pride ourselves on teaching every single player-- from players who are just starting out playing soccer to National Team players! Our professional staff will work with your player during our Summer Camp Series. The first 90 minutes of each camp day, players will work on exercises that develop the given topic for each camp. 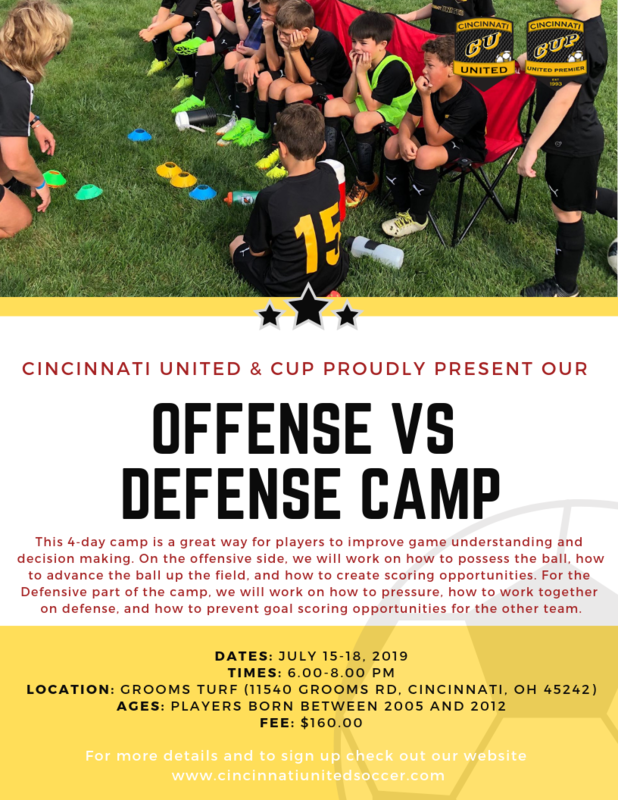 The final 30 minutes of each camp day will be spent on small-sided games, which provides players with an immediate opportunity to apply their newfound skills, abilities, and game understanding in game situations. It is our objective to create an environment where players work hard, learn, laugh, and have fun! Click flyers below to download/print.